Be encouraged to reboot your health with an effective detox that will help you start your journey back to well-being and good health. 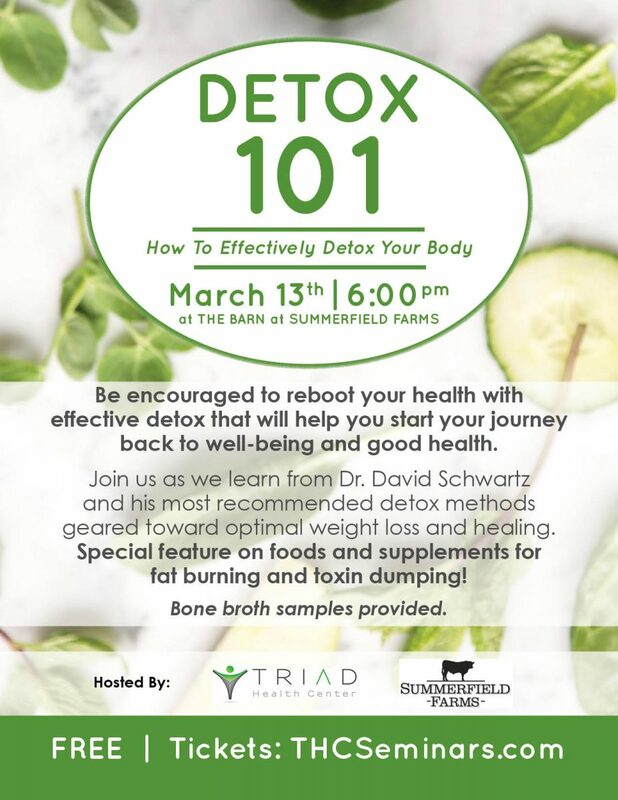 Join us as we learn from Dr. David Schwartz and his most recommended detox methods geared toward optimal weight loss and healing. Special feature on foods and supplements for fat burning and toxin dumping! Just like a car engine, our bodies get clogged up with toxic sludge that interferes with operating at full capacity. Cars need tune-ups and so do our bodies. Cleansing your body is like taking good care of your car with regular checkups, oil changes and scheduled maintenance. It keeps your body running better for longer! We’ll take you through the basics! Learn how to minimize your body’s toxic burden! Bring a notebook and pen so you can write down all of the natural alternatives Dr. Schwartz will share with you!